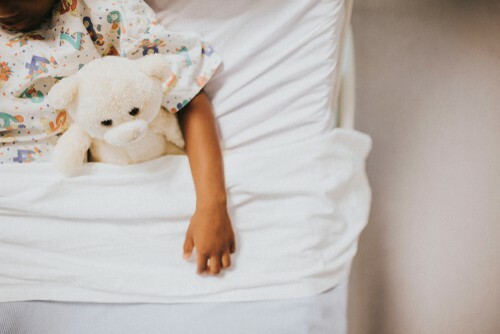 Researchers using data from the National Hospital Ambulatory Medical Care Survey found that the number of children who went to the emergency room for suicidal thoughts and attempts doubled between 2007 and 2015. The study analyzed 300 emergency rooms, and patients between the ages of 5 and 18 they diagnosed with suicidal ideation or attempts. In 2007, the ERs received 580,000 such cases. In 2015, that number had rocketed up to 1.12 million. The reasons behind this spike are multifarious and complicated. Researchers say it’s true that kids today feel more pressure to succeed academically and prepare for a career, but that’s only part of it. The rise of cyberbullying, which a Pew Research study says 59% of kids report being victims of, may also be a contributing factor. Whatever the reason, the trend shows no signs of slowing. The American Academy of Child and Adolescent Psychiatry found a distressing shortage of practicing child psychiatrists, with less than 17 per 100,000 children. That means parents and their children may face increasingly long wait times to get help. If you or someone you know is thinking about suicide, there are people you can speak to right now. The National Suicide Prevention Lifeline is open around the clock at 1-800-273-8255. For more information on how you can receive help for depression and dealing with suicidal thoughts, check out organizations like To Write Love on Her Arms, Suicide.org and Hopeline.com. You’re not alone. There are people waiting to help.